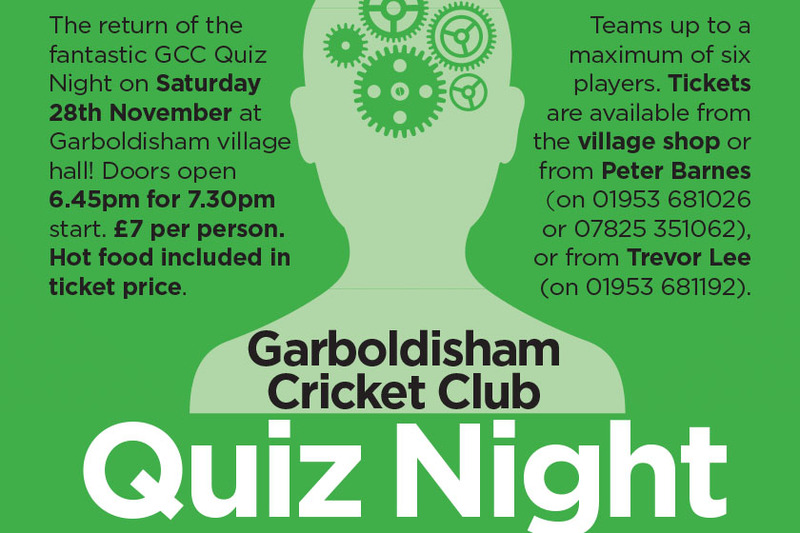 Just 10 days to go until the GCC Quiz night at Garboldisham village hall on Saturday 28th November. Doors open at 6.45 for a 7.30 start. £7 per person including hot food. 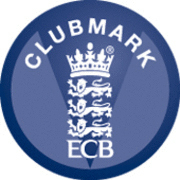 Book your places now. Teams can be up to a maximum of six players. Don’t worry if there’s only a couple of you because we can always pair you up with others to make a bigger team. 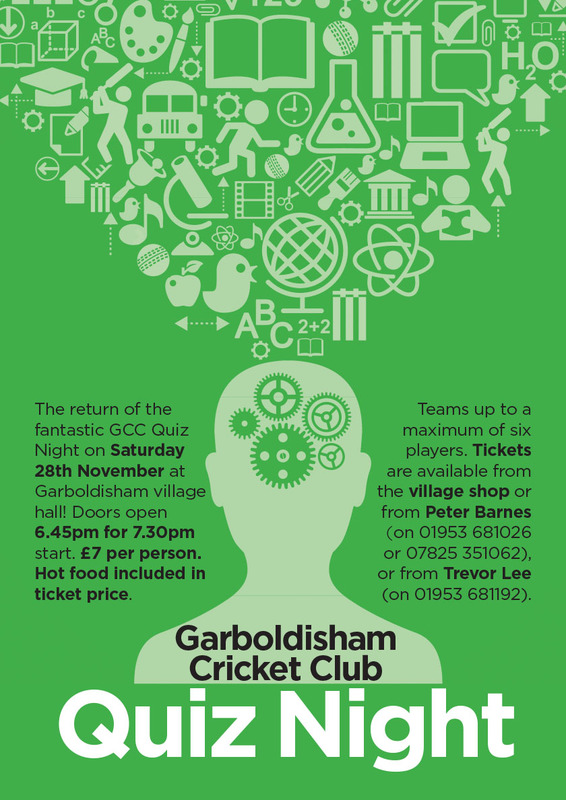 You can buy tickets from the village shop or from Peter Barnes 01953 681026/07825 351062 or from Trevor Lee 01953 681192. See you there!